If you have been dreaming of leaving city life behind and enjoying a tranquil bushland retreat then this is for you. Set on approx 25 acres (10.11 Ha) of native bush it includes 3 main paddocks and a beautiful hillside aspect leading down to the Moorabool River. The home itself offers comfortable modern living with a fabulous open living area warmed by a solid fuel heater. The kitchen is a gourmet's delight with stone benchtops, wall oven & hotplates with the addition of a slow combustion stove. All four bedrooms have high ceilings and their own R/C air con with a bathroom on each level. For the car enthusiast or tradie there are 3 machinery sheds with the main one fitted with steel workbenches and 3 gantry hoists, whilst ample water is supplied by 2 dams and 3 large tanks adjacent to the purpose built stables and dog runs with kennels. 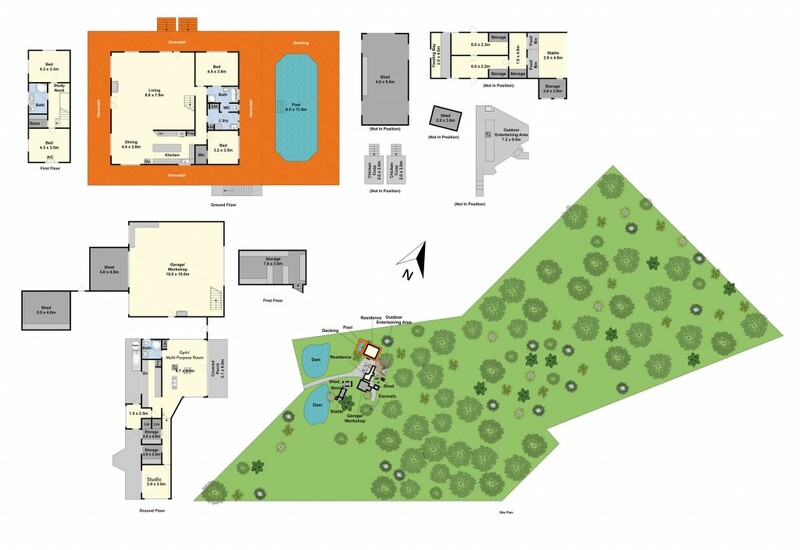 In addition there is a pool surrounded by decking and a uniquely styled undercover BBQ area with a separate studio/gym nearby which could have multiple uses. A wonderful relaxed lifestyle awaits you here.